Bask in the Beaux Arts grandeur of W Washington D.C. as you explore the nation&apos;s capital. Mix it up on the National Mall, take in the magnificence of the Reflecting Pool or stroll through history as you tour the memorials and Smithsonian Museums. Ascend to our rooftop POV for stunning White House views, signature cocktails and live DJ beats. Amplify your experience with our Whatever/Whenever® service, FIT® gym, Bliss® Spa and our W Insider, who connects you with all that&apos;s NEW/NEXT in D.C. Stay glamorous in one of our 317 elevated guest rooms and suites that unite historical detail with cutting-edge design. Live it up with fully wired technology, fabulous in-room entertainment, the delightful W MixBar and the signature W bed. Talk about capital gains. W Washington DC, the closest hotel to The White House, is in its final stages of its full rooftop to room renovation which will be revealed in 2019. The $50 million project injects bold new cutting-edge design into the historic Beaux Arts building that has stood at the center of history since 1917. From the newly reimagined Living Room, W’s see and be seen lobby, to all guest rooms and suites as well as the legendary POV rooftop bar with unparalleled views of the city, the new look mixes modern design with playful, only-at-W elements that pay homage to the city’s past and present. Now completed and ready to be enjoyed, our reimagined rooms and suites are waiting for your next arrival. Every one of our suites is designed to accommodate low-key lounging or turned up nights, with a private bedroom and open dining room stocked with a full bar. Make yourself at home with signature W bedding, liberal closet space, an oversized bathroom and limitless in-room amenities - for whatever your stay serves up. During this time you may experience noise throughout the building on weekdays and on weekends. 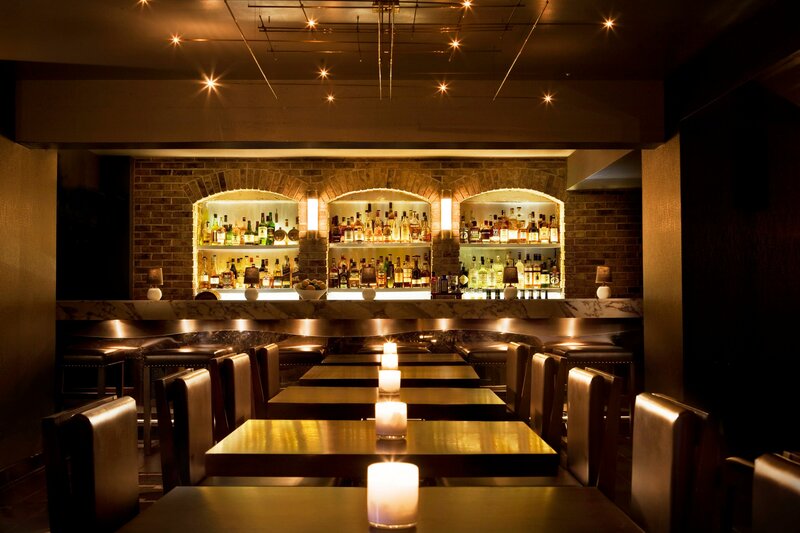 *Please be advised that POV is currently closed for renovation* Long regarded as the destination for Washington’s power set, POV, the hotel’s iconic rooftop bar and lounge ushered in a new era of nightlife in the city when it first opened in the summer of 2009. Our notorious rooftop lounge and terrace, POV, takes inspiration from D.C.’s honeycomb metro and Brutalist design, incorporating floor-to-ceiling glass for maximum transparency. 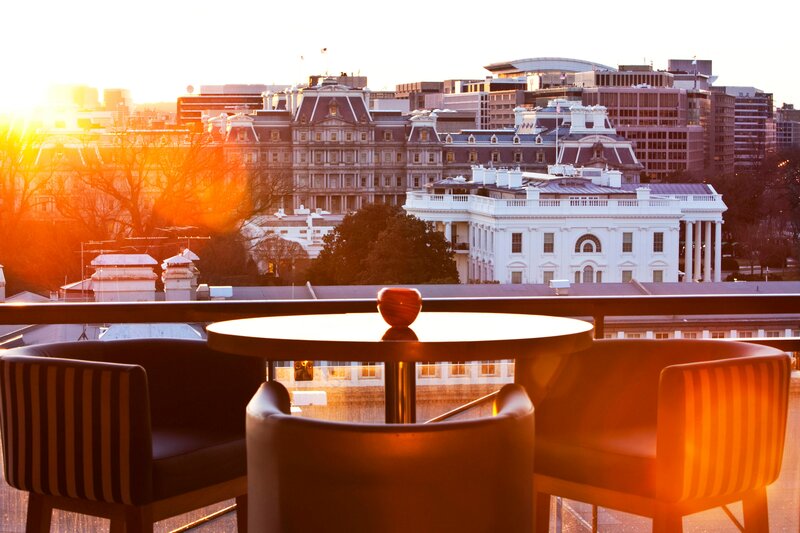 Feel the proximity to power in our rooftop ballroom with an adjoining outdoor terrace overlooking The White House. Get up where the nation’s most important monuments and spectacular landmarks surround you in our 11th-floor rooftop terrace bar and lounge. Stretch out in this luxuriously lavish 1.5-bath suite where contemporary sophistication is of presidential proportions, complete with sweeping views of the Washington Monument and hot-to-trot Penn Quarter. The one-bedroom, 1.5-bath suite adjoins with its neighboring room, providing additional bedrooms for a full entourage (or an entourage of security detail). 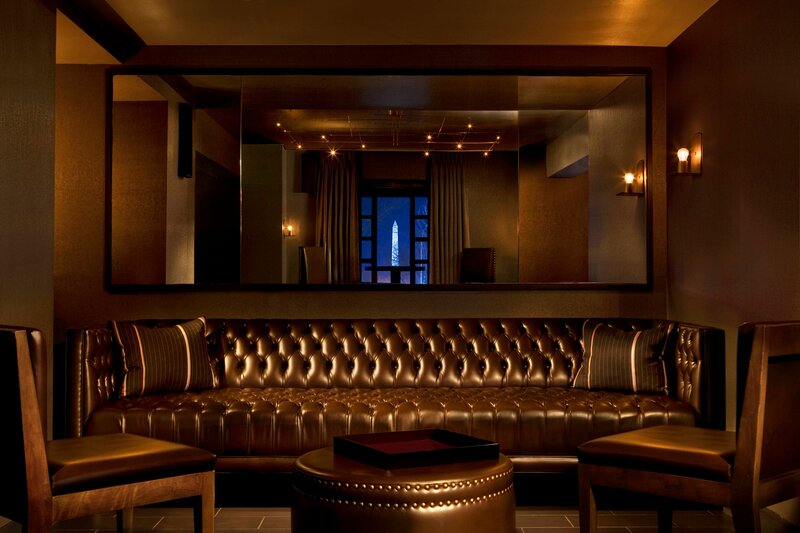 The Extreme WOW Suite is the new home away from home for rock stars and rock star politicos alike. Originally built in 1917 as the Hotel Washington. W Washington DC is the closest hotel to The White House and stands proudly on the National Mall, blocks from the city’s top restaurants, popular museums, landmarks, congress and major business offices. 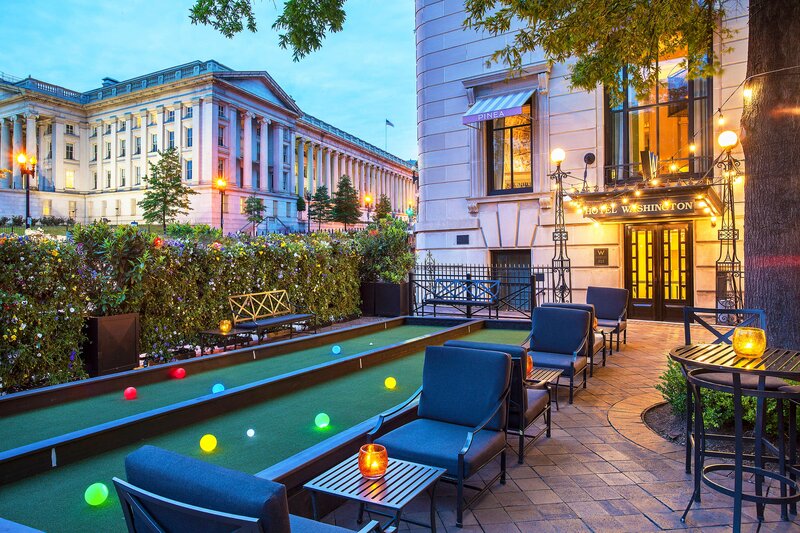 Just next door to the White House and overlooking the capital cityscape, W Washington D.C. is breaking all the rules of bureaucracy and inaugurating the oldest hotel in town with revolutionary style. Just next door to the White House and overlooking the capital cityscape, W Washington D.C. is breaking all the rules of bureaucracy and inaugurating the oldest hotel in town with revolutionary style. From the Old Guard to the New World, politics is no longer the only game in town as Washington, D.C. climbs the ranks as one of the country&apos;s most stylish urban playgrounds where emerging fashion designers, innovative entrepreneurs, cutting-edge restaurateurs and the intellectual elite have come to frolic.